Today the planet Saturn moved into Sagittarius, thus beginning a two year transit through that sign of the zodiac, and ending its three year transit through Scorpio. This is significant for people who are currently in their late 20s or early 30s, because it means that if you were born between 1985 and 1988 when Saturn was in Sagittarius then your Saturn return has just fully begun, while if you were born between 1982 and 1985 with Saturn in Scorpio then your Saturn return has just ended. Earlier this year Saturn dipped into Sagittarius for a bit between late December of 2014 and mid-June of 2015, but then it retrograded back into Scorpio for the summer. This initial ingress of Saturn into Sagittarius earlier this year should have coincided with a preview of some of the major themes that will come up over the next two and a half years as Saturn moves through the sign of Sagittarius. 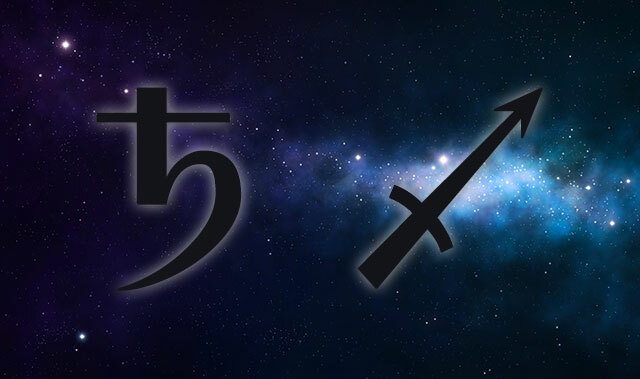 Today, on September 17, 2015, Saturn moved back into Sagittarius. It will eventually leave Sagittarius and those who were born when Saturn was in that sign will have their Saturn returns end on December 19, 2017. If you are looking for information about what to expect if your Saturn return is just beginning right now then you should check out this podcast episode on Saturn in Sagittarius that I recently recorded. In it I interview four different astrologers, and we discuss what that placement of Saturn in Sagittarius means both within the context of the natal chart itself, as well as when it becomes activated or awakened during the process of the Saturn return. The Saturn return basically lasts for the entire duration of the period when Saturn returns back to the sign of the zodiac that it is in when you were born. However, there is a period of heightened importance when it returns back to the exact degree of the zodiac that it was in at that time. If you need some help determining when this will occur for you then please see my tutorial on how to calculate your Saturn return. You may also be interested in my article on how to interpret what the Saturn return will mean in your life. Finally, much of the advice that I gave people who were just starting their Saturn returns in Scorpio a few years ago is also relevant to those who have Saturn in Sag today. Could you talk about a third saturn return. My mother’s saturn is 12 sagittarius and rules her 4th house (capricorn). Thank you. I’ll see what I can do. Leisa is working on an article on the second Saturn return right now, which we haven’t talked about much yet, and we will see what we can do about addressing the 3rd Saturn return eventually as well.